Emily discovers some hidden caves, and a group of sirens banished to the bottom of the ocean by Neptune many years ago. I thought that I was finished with the Emily Windsnap series. Three books seemed right to me. But then I started getting emails from my readers asking - in some cases begging - for a fourth one. I kept replying to these emails with an apology, but with the firm reply that there wouldn't be any more Emily Windsnap books. Emily was to be left to get on with her life without me following her around writing about her every move! But then the lovely Orion folk took me to the Bologna Book Festival. One evening, I was talking about Emily Windsnap with both my UK and US publishers, and the more we talked, the more I realised that I actually did want to write a fourth Emily book. We all got very excited, and I went home and started thinking about what might happen in the book. 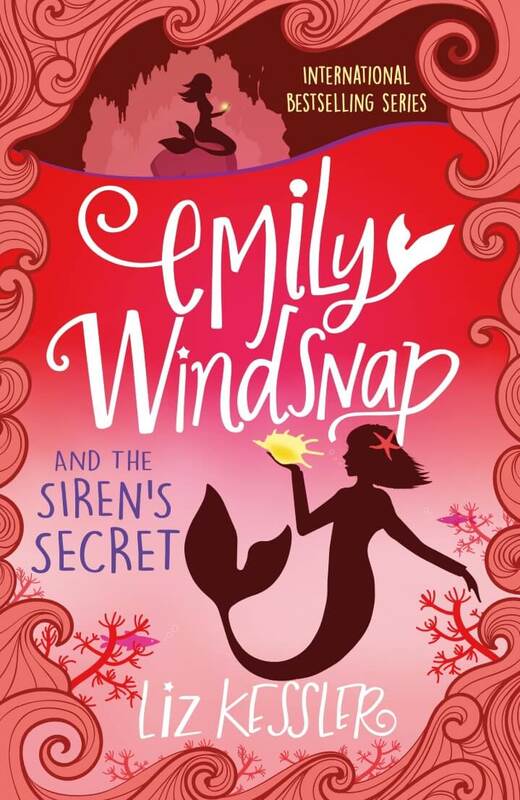 Before I knew it, the story emerged, the characters were back and I jumped in and loved every minute of writing Emily's fourth adventure, which became Emily Windsnap and the Siren's Secret.